The launch of the Central Lakes Mission Community took place at Mary’s Church Ambleside on 7th October at 11am. 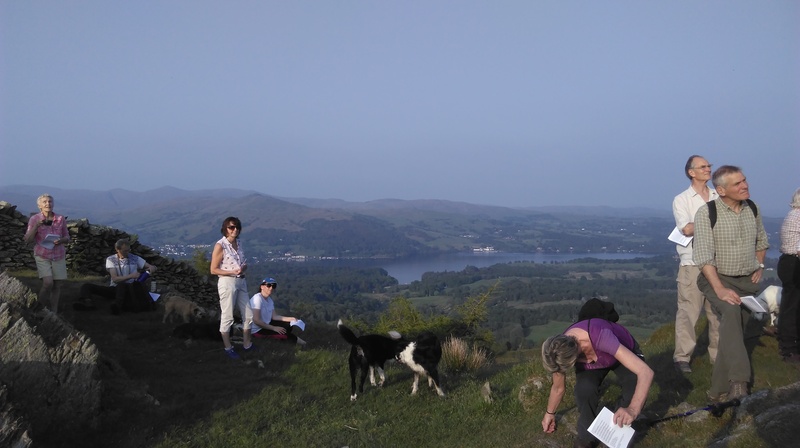 Around three hundred people from the fourteen worshipping communities, from the top of Dunmail Raise all along the west side of Windermere, got together on 7th October to Launch the Central Lakes Mission Community. There was a real sense of occasion with people from the different churches, chapels and networks coming together. It was lovely to have a big choir to lead the music and they sang John Rutter’s, ‘For the Beauty of the Earth’ wonderfully. Displays on the theme of Creation graced the north and south aisle from Ambleside, Langdale, Hawshead and Grasmere Schools. Lessons were read by lay people from Anglican and Methodist churches while the Baptist Chapel led the Intercessions. We had a letter of support from our Roman Catholic brothers and sisters. Bishop James Newcome celebrated Holy Communion and Rev. Richard Teal gave an amazing sermon that has been the subject of much conversation since. There were traditional hymns, modern words to old tunes, quiet music and rousing songs. At the end of the service each person received a shell, the traditional symbol of pilgrimage, as we started out on this new adventure together. After the service there was a fantastic spread that was enjoyed among much chatter and laughter. It is so good to be part of something bigger sometimes. We may enjoy gentle country walks, quiet dinners with the family or friends, a small group in the pub but sometimes the atmosphere of being with lots of people all focused on the same things creates an occasion that lifts the spirits and is truly memorable. That is what we had as we launched our Mission Community. makes each worshipping community ‘tick’ and start that journey of working together for the benefit of all. They have helped us to start to trust each other. Some of these people have been under the auspices of ‘Christians Together’ some have been individuals who have felt that working together mattered and have introduced their friends from different backgrounds to each other. We all stand on the shoulders of those who have gone before. I am grateful to all those who have done what they have done that we can be where we are today. I am grateful to God who by his Holy Spirit makes such things possible.